Chandler, Arizona’s criminal courts enforce harsh penalties. Even a misdmeanor in Chandler can leave you with a permanent criminal record. When facing a criminal charges in Chandler, AZ, it’s wise to call a qualified and experienced Chandler Defense Attorney who’s familiar with Chandler Courts and Arizona law. 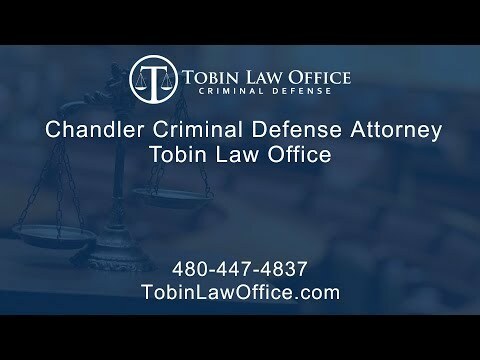 Arizona criminal Lawyer Timothy Tobin has practiced criminal law for several years providing his clients with quality and effective criminal defense services in Chandler, AZ. Mr. Tobin, a former prosecutor of two government agencies, previously prosecuted criminal cases referred from the Chandler Police Department. Tobin Law Office is familiar with Chandler Courts, Chandler Judges, Chandler Prosecutors, and Chandler Police. Tobin Law Office is conveniently located off the US 60, only a few miles north of Chandler’s Criminal Courts: Chandler Municipal Court, Kyrene Justice Court, and San Marcos Justice Court. Mr. Tobin, and his family, are also Chandler residents living only a short distance from Chandler’s historical downtown. If you’ve been charged with a misdemeanor in Chandler, it will likely be in either Chandler Municipal Court, Kyrene Justice Court, or San Marcos Justice Court. To determine which court you’re in, look at your police paperwork. If you were charged by Chandler Police, you’ll be in Chandler’s Municipal Court; however, if you were cited by Arizona’s Department of Public Safety or the Sheriff’s Office, you’ll be in one of Chandler’s Justice Courts. These courts are located across from one another on Chicago Street in Chandler’s historical downtown district. The Municipal Court is at 200 E. Chicago Street and the Justice Courts are at 201 E. Chicago Street. 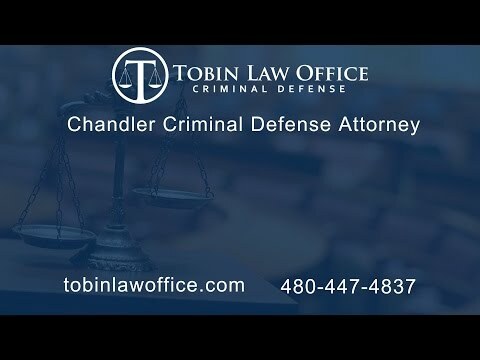 Tobin Law Office Provides Excellent Criminal Defense in Chandler’s Courts. When up against criminal charges in Chandler, Arizona, you face harsh and lasting consequences. If you try to handle the case yourself, you’ll be up against Chandler’s experienced judges and prosecutors; and they all have extensive training and experience in Arizona criminal law. Mr. Tobin will tell you that the government doesn’t have your best interests at heart. They see as one of many Defendants to convict without concern for your future. When charged with a crime in Chandler, you should hire a criminal defense attorney that’s familiar with Chandler’s Courts, Chandler Agencies, and Arizona law. It’s also imperative to have a lawyer that can devote the necessary time and effort to your individual case. What Type Of Consultation Is It? Transparent Flat Fees and Payment Plans: Tobin Law Office’s service in Chandler are always charged at a flat rate. There’s no hidden fees or costs. Familiarity with the Chandler Courts: Located only a few miles from Chandler’s Courts, Mr. Tobin practices in the Chandler courts regularly. Formerly Prosecuted Chandler Cases: Mr. Tobin prosecuted Chandler cases as a deputy county attorney for Maricopa County. Personal Service and Effective Communication: Mr. Tobin handles all aspects of the case. Clients won’t need to go through gatekeepers, secretaries, or paralegals to talk to their attorney. Mr. Tobin’s clients have his personal cell phone and email. Free Consultations: With a call or message, you’ll be put in direct contact with Mr. Tobin to answer your pressing questions and concerns. Tim Helped Reduce My Charge!